A great place to stop by for some family-friendly dining or a quick bite, Gather offers weekly happy hour specials, hors d’oeuvre, and a spectacular menu that features a variety of vegetables, roots and the finest meats from local farms and butchers. With a vision of something different, the Kitchen delivers a dining experience unlike any other in Jackson Hole. The interior has an elegant design that creates remarkable ambiance that can only be rivaled by the serene seafood menu itself. Featuring exquisite seafood delicacies like Ahi Tuna, tempura shrimp, Artcic Char and seared scallops, The Kitchen is an excellent place to enjoy the best seafood in the west, in a refined restaurant setting. A favorite among locals and visitors alike, Rendezvous is considered one of the culinary staples of Jackson Hole. Opened in 2001, this bistro has reimagined the traditional French and American dinner experience, providing a family dining experience with friendly staff and best-in-class eats. For the brunch-aholics out there, this is the place for you. Jackson Hole is a place where you must get outside to witness all of Wyoming’s natural beauty, so Picnic prepares excellent on the go treats and lunches for those who just can’t wait to get out and enjoy the wild. Offering fresh salads and homemade pastries Picnic is the perfect nook for those in need of a brief midday munch to refuel before adventuring around Jackson Hole. Located on the Turpin Meadow Ranch grounds, our lodge offers guests a truly western taste of Wyoming. With a rustic, welcoming atmosphere the lodge invites guests in to enjoy pasture-to-plate meals fresh from the ranch grounds. The menu pays homage to local farmers, foragers and ranchers that share the ranch’s vision of quality Western style that embodies the ranch. Jackson Hole is ripe with excellent places to eat. 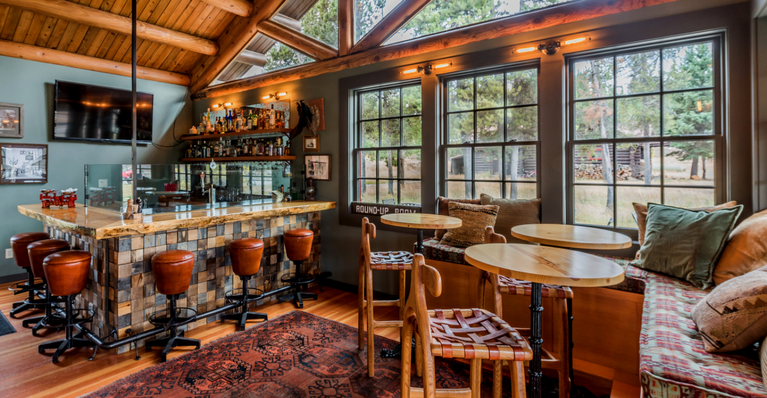 If you are looking to find the perfect restaurant to satisfy your hunger, visit the lodge and ask our knowledgeable staff about your endless options in Jackson Hole.